Lincoln Cole is a Columbus-based author who enjoys traveling and has visited many different parts of the world, including Australia and Cambodia, but always returns home to his pugamonster puppy, Luther, and family. His love for writing was kindled at an early age through the works of Isaac Asimov and Stephen King and he enjoys telling stories to anyone who will listen. Second Chances by Lincoln Cole is a story about journeys of self-discovery. It opens with a meeting held at a school in a white suburb that a judge has ruled must accept children bused in from a black neighbourhood. Lakeisha, a black widowed mother of four, witnesses the white parents’ objections when the meeting was called to plan how best integration could be implemented. How can she support her youngest daughter, who must cope with that attitude? Richard Greenwood went into law to help people and has become disillusioned; justice is for the rich. Lakeisha goes missing, leaving her eldest daughter, Nichole, a first-year law student, with the job of being mom to her younger brother and sister. Nichole, working as an intern at Franklin and Greenwood, asks Richard for help that he cannot legally give. Lincoln Cole’s Second Chances is a powerful story that hooks the reader instantly. Mr Cole is to be congratulated on tackling a diversity of difficult issues and doing it well. Racial discrimination, the high cost of medical care, the judicial system, wife battering, child abuse and alcoholism: all of it within a story that never fails to entertain. The scene is brilliantly set from Lakeisha’s point of view but quickly moves on to the problems Nichole faces, and the sacrifices she is prepared to make for those she loves. Richard presents as a confident man, successful in his chosen career, but his contact with Nichole forces him to question the motives behind his life choices, and re-evaluate what made him the man he has become. This is indeed a story of second chances and I recommend it highly. In Second Chances by Lincoln Cole, for a long time life had been a struggle for Nichole and her family. But her mother would sacrifice anything to give her kids a chance at a better life. Whenever one thing seemed to be going right, another problem would arise; the latest and most disastrous of all being her mother's disappearance which left her and her three siblings to fend for themselves. Nichole, who had just landed an internship position at a top tier law firm, decided not to disclose this information to her boss as this would most certainly mean her being fired. But how long will she keep her mother's absence a secret, especially since the absence meant her quitting school and hence violating the one condition on which her internship depended. 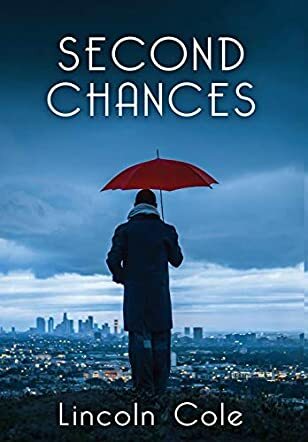 Second Chances by Lincoln Cole is a fictional story about sacrifice, segregation and the importance of family. It starts with the lead character's mother mysteriously disappearing and Nichole assuming all the responsibility for her two siblings in her mother's absence. While in her first year of law school Nichole accepts an internship, but is unable to stay in school after the disappearance of her mother. Because one of the primary rules of the internship is for Nicole to also attend school, she is forced to stop attending to care for the needs of the home. Richard is an attorney working within the firm where Nichole is completing her internship. He appears to have it all together and is soon faced with the choice to help Nichole or continue within his lackluster life. When Nichole finally admits that she feeling overwhelmed she goes to Richard for help, but he feels conflicted with helping because of his own ethics within the law field. Nichole makes Richard question his own motives for being an attorney and wonder if helping Nichole would be a good idea for him professionally and personally. The novel is a true example of family struggles, and how things are never really as bad as they seem. Lincoln Cole grabs the readers' attention from the very beginning of the story with the tone and suspicion of the first few chapters. The struggle of the family was easy to identify with because the plot was realistic and definitely made the reader ask themselves if a second chance would even be possible. This novel is a great read and I would recommend five out of five stars. Very well written book. I loved it!